WHY As you read this, teens in America are being deprived of their constitutional rights and abused at residential 'Behavior Modification' programs. Residential Behavior Modification programs for children are controversial - there is no documented research proving the benefit of these programs, or what their long term side-effects may be. In fact there is published research that suggests these programs are causing more harm than help. These behavior modification programs are a large part of the Troubled Teen Industry (TTI), are not regulated by the U.S. government, and have a long history of abuse. WHO We are ex-students of the Worldwide Association of Specialty Schools (WWASPS), a network of behavior modification programs. WWASPS is a major player in the multi-billion dollar industry. Through this website, we will tell you the stories of our childhood years spent in WWASPS programs in Arizona, Costa Rica, Czech Republic, Georgia, Jamaica, New York, Mexico, Montana, Samoa, South Carolina, and Utah. We are telling our stories to help any families considering a behavior modification program as a solution for their child, to provide testimonials to the Medical industry, Justice & Education systems, for general knowledge, and for our own peace of mind in the world knowing the truth. This website contains WWASPS & other TTI related videos, photos, website links, articles, information about each WWASPS program (both past and present), including reasons for shut-down of programs (16 to date) including allegations of emotional, physical, and verbal abuse, false imprisonment, unlicensed medicine, fraudulent diplomas; lawsuits, and testimonials from ex-students & their families. For these reasons and many more, your research is everything. You will never know what really happens inside a program. 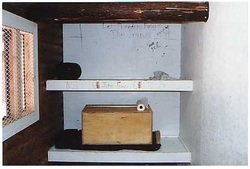 This is carefully guarded information - participants of monthly program 'seminars' (where humiliation, sleep & food deprivation and group attack therapy are all used in an attempt to elicit 'real change') are forced under duress to take 'vows of secrecy', facilities are prepped before any visit from the outside world, and students who report to their parents (or to any visitors to the facility) any abuse or maltreatment, are labelled as 'manipulators'. This is an alarming practice which immediately and effectively discredits any cry for help from the child. The ex-students who contribute to this website are only voicing opinions and sharing perspectives based on our own personal experience. We would never oppose any parents reaching out for solutions for their family. But we want those solutions to be based on facts, experience, and supported research, rather than a misleading selection of 'testimonials', unsubstantiated claims ("80% of Graduates go on to attend the country's best universities" and "97% Parent Satisfaction"), and deceitful promotional videos and brochures of the business that sees you and your child as a potential $53,000 profit per year. And if any kind of abuse occurred in a program, we believe parents deserve to know about it before sending away their child. What we do oppose are greed and corruption, guised as sincere help for a struggling family. We condemn the program administrators our parents entrusted with our care, who distributed brochures and videos showing happy children in the ocean swimming, on jet skis, and riding horses; who smiled and assured our parents we would be taken care of, and then turned around and hired unqualified staff with no certification in childcare/healthcare/education; who provided us with a sub-standard education that required many of us to re-do our high school education later in order to be accepted to college or university; who put us through emotionally damaging monthly 'therapeutic' seminars by unprofessional staff with no qualifications; who did not do any adequate research on the long term effects of institutionalizing children; who served us the cheapest food possible, who put crammed us into beds in the cheapest housing possible, and who allowed our hygiene and bathing conditions to border on unsanitary, with little to no appropriate medical care - all while charging the rates of an Ivy League university. Where did their profits and our parents' hard-earned money go? We oppose anyone who believes that children who repeatedly misbehave should be separated from their families, isolated, humiliated, and beaten down in body and spirit... to be built back up again to match a 'one-size-fits-all' standard. We oppose any lack of transparency in dealings with children, including the secrecy of the seminar practices, and especially in the institutions in a foreign country with different laws to the US; cutting corners and costs resulting in inadequate medical treatment and therapy; false imprisonment; and the unconstitutional deprivation of contact between a parent and an under-aged child. We oppose any adults involved with the industry who have not thoroughly researched the effects of institutionalizing a child, and therefore we oppose the good intentions but damaging actions on the parts of our parents and guardians. We understand we weren't perfect and needed to change our behavior. It was the way they did it. The only way we can bring about change is to be aware of the issue and demand change from the U.S. federal government. Please see how you can help make a difference on the What Can I Do? page. "The staff are a bunch of untrained people. They don't have credentials of any kind." "I know you probably think I'm playing dumb. And that's good, because I probably am dumb." "We could be leading these kids to long-term problems that we don't have a clue about because we're not going about it in the proper way." "They are not clinicians. So their job is very important to them because the option a lot of times is a minimum-wage job someplace. And so it's very hard to get them to talk or to talk bad about the program or tell the truth about the program, actually." "How in the hell can you call yourself a behavior-modification program -- and that's one of the ways it's marketed -- when nobody has the experience to determine: Is this good, is this bad?" "The accusations are from students. The parents may believe them, but the parents weren't there." "I think that he must just want to be powerful, or seen as, 'oh, the guy that saved all these children from abuse. My fear is that he has a vendetta." Kay is referring to Congressman Miller (who requested a government report into the industry after numerous reports of abuse). "Abuse doesn't happen anymore often than in the public school system. That doesn't mean we're gonna shut down the public schools." "The teens making the allegations generally have a long history of lying, exaggerating and dishonesty." "More than 80 percent of the graduates of these programs go on to attend some of the best universities and professional schools in the country." - NB: Not only is this an unsupported claim, in fact almost the reverse is true due to WWASPS' sub-standard education - many students have to re-do their high school education or get a GED in order to be accepted by any colleges or universities.